In large saucepan, pour two tablespoons of canola oil to medium heat. Add peppers, garlic and onion. 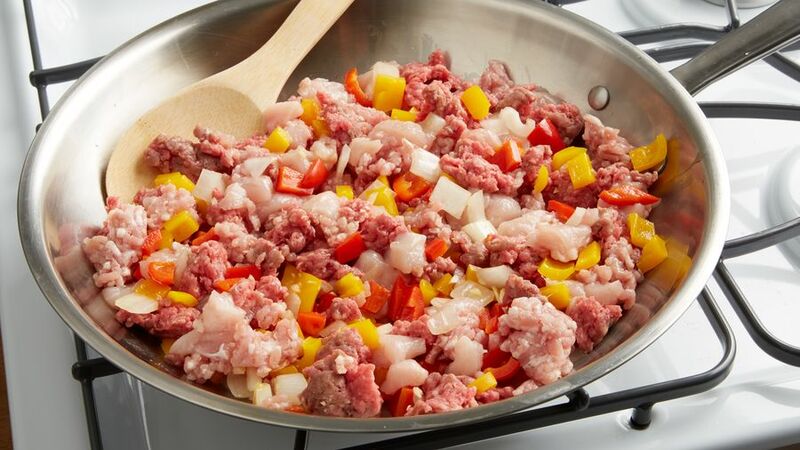 As soon as they are golden, add the meats (pork, beef and chicken), and stir-fry. Stir well and allow the meats to cook completely, for about 10 minutes or until the meat is no longer pink. 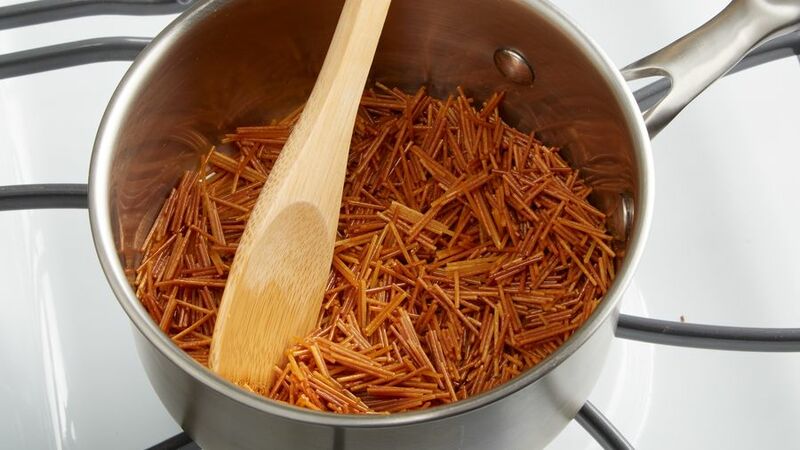 In small saucepan, add the two remaining tablespoons of oil; stir-fry the noodles until they take a golden brown color, but be careful not to burn them. Remove from heat and reserve. n a large pot, at low heat, combine the vegetables and meats, noodles and lastly the 3 cups of rice, and stir well. Add the 6 cups of water, salt to taste and the color and chicken bouillon. Cook rice until water has evaporated for approximately 20 to 30 minutes. Lower heat and cover pot. Cook for another 20 minutes. If you like greens, you can add peas, these can add a delicious flavor and more color. You can accompany the rice with fried plantain or French fries and tomato sauce. I'm sure many would agree this dish is part of the Colombian gastronomic tradition. I love it because of its simple preparation and the fact that it yields many portions. A delicious combination of meats, vegetables and rice cooked to perfection. 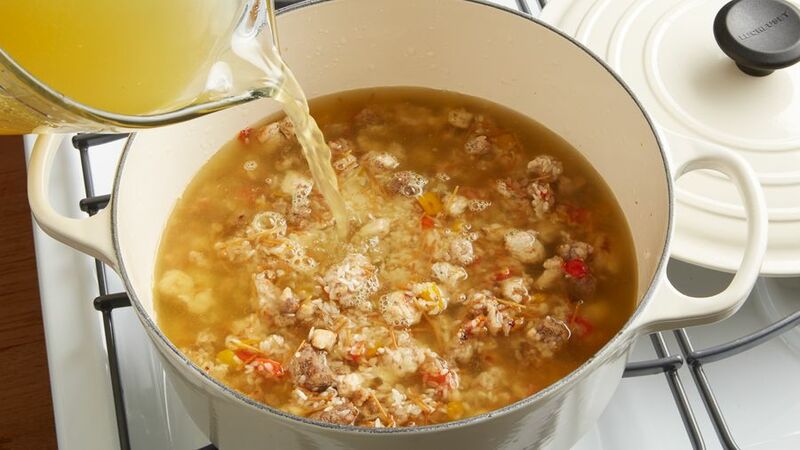 In my family it was customary to let tía Adriana cook it, she was appointed by the whole family, since she was the number one expert in making the recipe for Arroz Atollado. 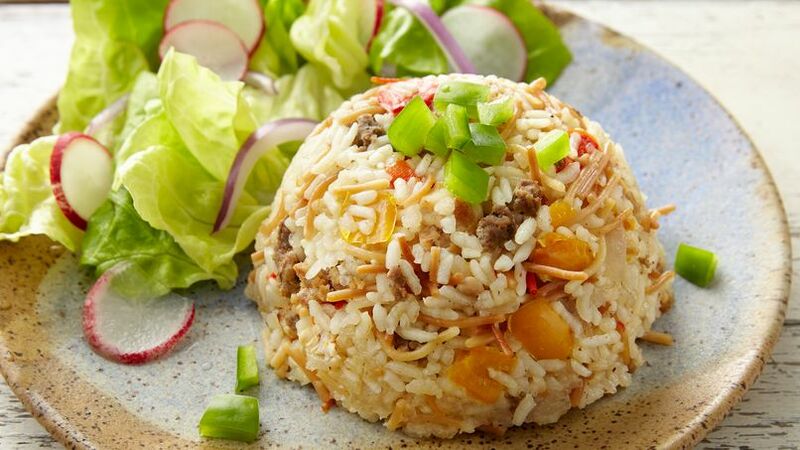 There are two important secrets in the preparation of this dish, the first one is that the rice grows perfectly among the meats that accompany it; it cannot be too dry or too wet, and especially not plump. The second secret is to allow the right amount of cooking time to each ingredient. Today, I want to introduce to you another family recipe made with a lot of love, tradition, and of course, lots of Colombian flavor.